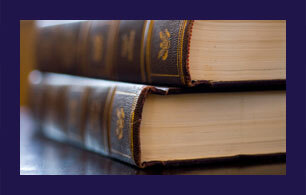 Clonfero Law Firm is a plaintiff-side litigation law firm in Toronto. Our lawyers are dedicated to meeting the highest standards of client care. We take the time to listen, to solve problems and stand with our clients through every stage of their legal case. Fundamentally, we are committed to restoring peace of mind. At Clonfero Law Firm, we believe the practice of law is a calling. Our objective is always to do right on behalf of our clients, who are bravely facing injury or illness. It is our choice to use our skills in service of them, and not in service of insurers or large corporations. For us, service means treating our clients as we would like to be treated. We listen to them describe their circumstances and hear their concerns. We provide an overview of the process of filing a legal claim, including the risks, benefits, duration and costs. Once a claim is initiated, we remain in close contact with our clients so we know how they are doing and they know the latest developments in their case. Client communication is enhanced by our use of the latest technology that includes email accessibility and electronic documents. As we remain apace with technology, we also participate in legal education that keeps us abreast with changes in the law and how they affect our clients. We continue to improve our skills so we can do the best job possible for those we represent. We prepare every personal injury case as if it will go to trial, so our clients have the same level of passionate advocacy as do the insurance companies. Litigation is not right for every case, however, and often early settlement can achieve the results our clients need and deserve. At Clonfero Law Firm, our fees are on contingency. This means we receive payment only when you are compensated. To schedule a free consultation, call us at: 416-703-2077 throughout Ontario. You can also send us an email through this site. We can meet you in home or hospital if you are unable to come to our offices.